FOR the first time in the history of Speech and Prize Giving Days, St Augustine’s High School celebrated the day in the absence of parents. 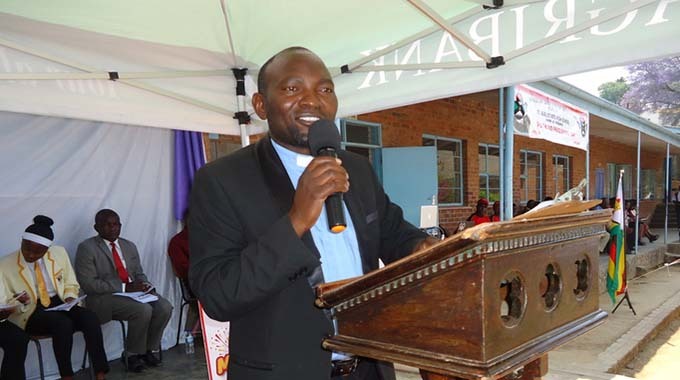 The outbreak of Cholera in the country and Ministry of Health’s alert call to avoid multitudinous gatherings saw this year’s memorable day on the Tsambe school calendar resembling a honeymoon without one spouse. Except for the absence of the parents, the Speech and Prize giving went on as if nothing was missing. Addressing the students and invited guests comprising Mutasa District Schools Inspector, the local Primary School head, the Mission’s Priest-in-Charge and the Chairperson of the School Development Committee, the high school principal, Reverend Sydney Chirombe chronicled the continued achievements of the school describing them as a protraction of the familiar genesis of excellence. “We are doing exceedingly well academically,” said the good reverend. He started to unpack an avalanche of accolades the school won in the year 2018 going forward beginning with its colourful pass rate. “In 2017 the ‘O’ level pass rate was 96, 55 percent and 100 percent for ‘A’ level…” The Reverend paused for effect seemingly saying the pass rate spoke for itself and there was no need for embellishment. 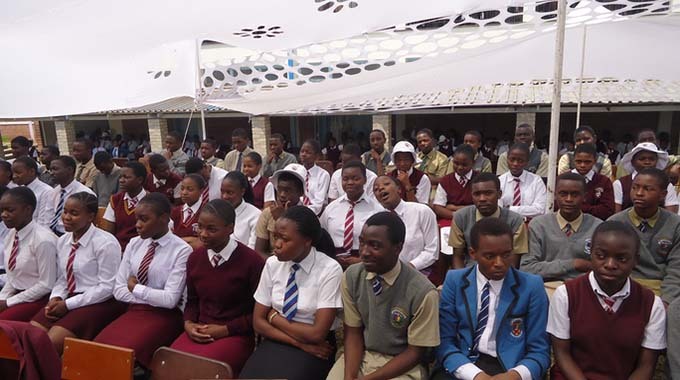 “Higher Life Foundation, the epitome of Econet Wireless led by the Zimbabwean illustrious business mogul and philanthropist, Strive Masiyiwa rewarded St Augustine’s High School by selecting two academic Trojan horses, Muziya Byron and Vinlour Mudehwe into Star Leadership Academy at Ironcrotch University in Israel. The two deserving students,” the Reverend proudly announced, “…will be studying in Israel in 2020 and 2021. Israel here we come!” boasted the elated school head. He mentioned the Darts Team which romped to victory up to national level and brought national silver medals to Tsambe, courtesy of Bright Kamurendo. Shuvai Gwaradzimba and Takudzwa Matsikidze. He mentioned the iconic Panashe Sunguro who painfully missed by just two seconds to proceed to Finland. 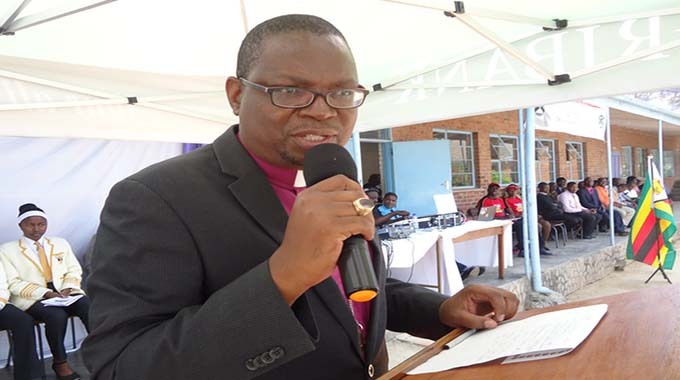 The Reverend mentioned the Volley Ball Team comprising Chiomba Kudzai, Munyai Nigel, Mutyamaenza Simbarashe, Chingosho Hushai, Nyambuya Clifford, Gondo Lesly and Chimuka Tadiwanashe which crossed the frontier and played in South Africa. Outstanding volley-ball players like Nyambuya Clifford and Kudzai Chiomba, the Reverend announced, “…will proceed to Durban-South Africa on 12 December 2018.” The Rev appealed for prayers as this was a chance for the two students to secure scholarships to go and study in USA or Germany. “Durban, here we come!” he said again proudly. Reverend Chirombe said despite the exigencies of economic instability and the cholera pandemic in the country, “We as a school could not rule out a Prize Giving Day because such an occasion is the only occasion on which we can reflect on our successes and tell our own story of success as a fountain and genesis of excellence.” And indeed Tsambe continues to be one of the bastions of academic glory in the country! 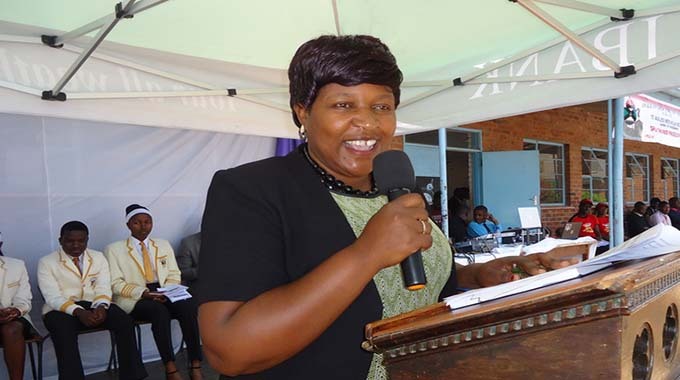 As if they were singing from the same hymn book, Mrs Gwidibira, standing in for DSI-Mutasa District, Mrs Chipo Mlambo and the SDC chairlady, Mrs Kauke, showered praises on the teachers, the ancillary staff, the students and everybody else who made Tsambe remain a great school. 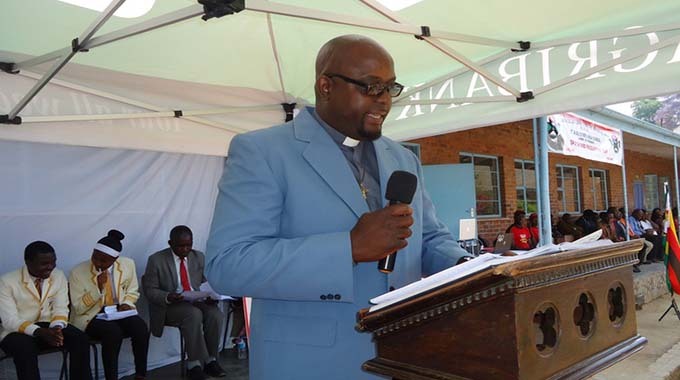 The Anglican Diocese of Manicaland Bishop cited the great son of Zimbabwe, distinguished freedom fighter and first African lawyer on the bench, Herbert Wiltshire Chitepo, the maverick Christopher Mutsvangwa, heroic Anglican church pundits, Bishops Siyachitema, Haatendi and Chad Gandiya mentioning only but a few of the luminaries, stars, celebrities and top-names that went through Tsambe. These will include Moses Mukoyi, the headmaster of the indomitable St Faith’s High School, the late politically colourful Zanu PF exit profile, Edgar Tekere, long serving Zanu PF political has-been Patrick Chinamasa and estranged Tomana…, current Baclays Bank Zimbabwe CEO- Samuel Matsekete…many more heroes and heroines remembered and forgotten. The history of Tsambe is written in indelible ink in the diary of Zimbabwean luminaries. The Manica Post congratulates Tsambe for putting up an exceedingly successful Speech and Prize Giving Day without the parents. We continue to share the patina, the gloss and sheen of this celebrated high school and promise to tell your stories of success the way you want them told.